What kind of RELATIONSHIP REPAIR do you need help with? Repairing Your Relationship With Your Self? Repairing Your Relationship With Your Significant Other? Repairing Your Relationship With Your Children or Parents? Repairing Your Relationship With Someone on Your Work Team? Money Doesn’t Buy Happiness or Success in Your Relationships! … After all, What good are the rewards you have worked so hard for if you have no one to share them with or a business culture that is negative and toxic? 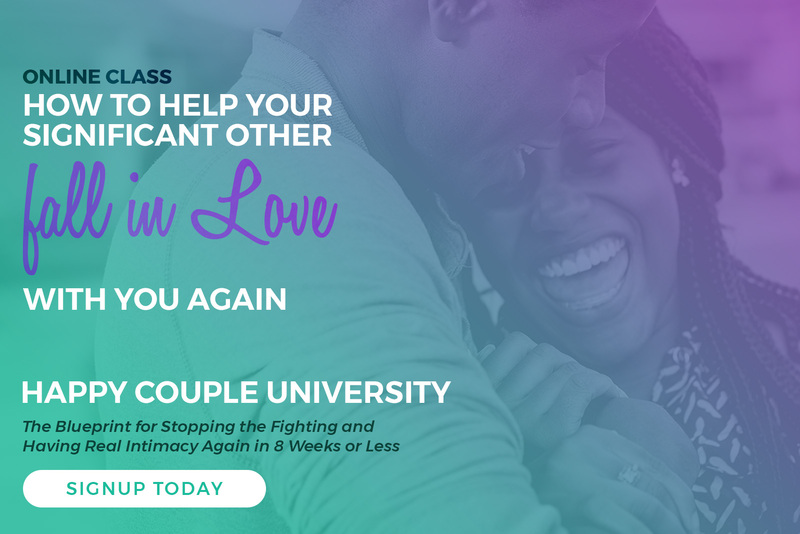 If you are having drama and fighting at home or work – or if you have grown apart from the people you want to spend time with, then we need to get you some Relationship Repair ASAP! This is Where I Come In. With Relationship Coaching I Can Help You Repair and Find Joy in Your Relationships via Video Conference from the Comfort of Your Home or Office. My Best and Brightest Clients over the years have been hard working Small Business Owners, Government and Business Leaders. So, I have dedicated my International Coaching Business to your Relationship Success! My expertise is both personal and professional. Personally, I am from a close, supportive family that is successful both in business and relationships. Shout out to my rock solid husband Brendan Knarr and my family at Weiland Doors, Inc. Professionally, my Ph.D. is in Counseling and Human Services and Marriage and Family Therapy. I have been servicing couples, families, and business workplaces for over 15 years and continue to provide local therapy in the metro Baltimore and Washington DC Region. Simply put, I like coaching other hardworking, financially successful people to have happy relationships both at home and in their business life. My husband's Relationship Repair counter is always open for business! I am so shocked that after Dr. Stephanie’s s Relationship Repair seminar, he's now willing to listen and talk just like he would at a corporate meeting! Ultimately, we are giving each other the same respect we give to those at our jobs. Relationship Repair works! Being here was so much fun. I am so ready to open my Relationship Repair Counter™ with my coworkers - and to see the outcomes and results that we are going to have on our projects! As someone who works with a lot of people in my organization, I came away from Stephanie's Keynote with so many practical tools and principles. Her Relationship Repair Program will completely change the dynamics of your team. What I like about the Relationship Repair Counter is it's an image that I can bring to mind when I am having a difficult conversation and it helps me to remember that I want to build the relationship rather than break it down. Stephanie has so eloquently been able to put things together. Something we use every day… using customer service strategies helped my wife and I in our relationship immensely just being able to open up the lines of communication in our marriage. 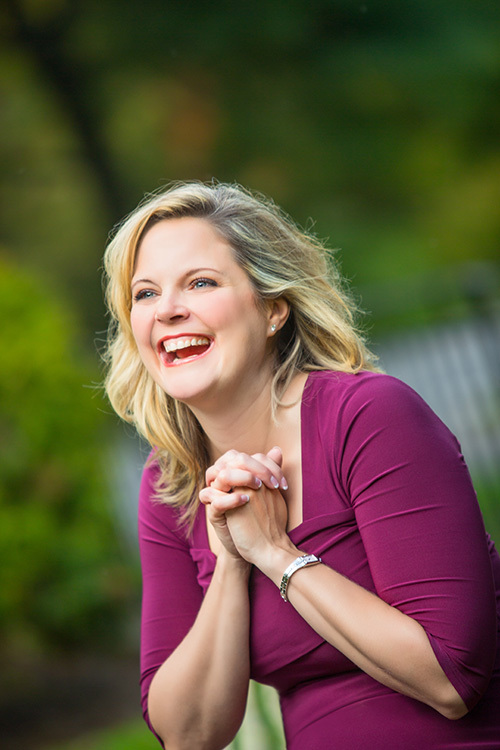 Dr. Stephanie has developed an outstanding, warm, and professional Relationship Repair Keynote. 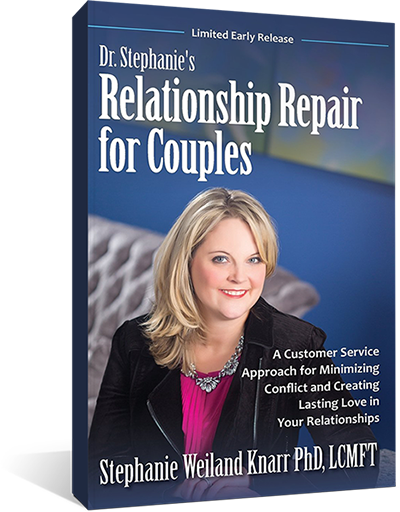 Attending Relationship Repair gave many couples powerful tools as Stephanie engagingly presented with much wit, professionalism and openness. Stephanie’s teaching style was inviting and seemingly appreciated by both husbands and their wives. We enjoyed her teaching and presentation style immensely and would gladly attend another presentation.